The Barracudas defeat the Dallas Sidekicks and secure their spot in the 2018-2019 Playoffs. The RGV Barracudas defeated Monterrey Flash for the second time this season. The Barracudas will be confronting the El Paso Coyotes for the third time this season and in pursuit of a third victory against them. 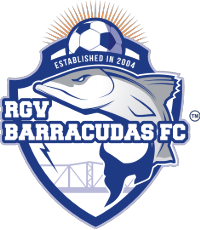 Barracudas to confront Dallas Sidekicks once again. News, Promos, Package Deals and MORE ! Your RGV Barracudas team representative will contact you shortly. Thank you !